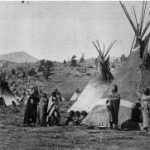 In 2001, the Pikes Peak Historical Society established an endowment fund in order to help members of the Ute Indian Nation return to their original homelands around Pikes Peak. This annual visit enables the Ute people to do ceremonies at their ancient sacred places, including their Sundance grounds on Pikes Peak and at their culturally scarred trees. 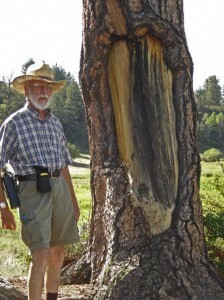 These trees are usually Ponderosa Pines, which live to be quite old. There are several types of these Ute trees, and are labeled by the PPHS according to their function; Medicine/Healing Trees, Prayer Trees, Burial Trees, etc. These Living Artifacts are a precious resource, linking modern culture with the first inhabitants of the Pikes Peak area, the Tabeguache Band of the Ute Indians who were forcefully relocated to the Uintah-Ouray Reservation in Utah in 1880. 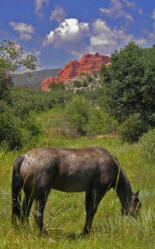 These Living Artifacts, some 800 years old, establish the Pikes Peak area as an enormous outdoor, living museum. 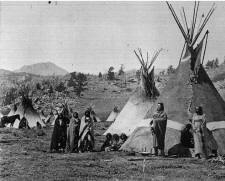 Pikes Peak was known to the Ute People as “Tava,” meaning “Sun” in their dialect of the Aztec language. 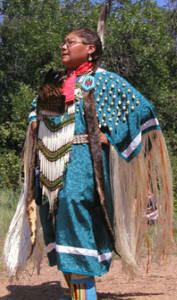 The Tabeguache, or “People of Sun Mountain,” was the largest of the ten nomadic bands of the Ute. They followed the herds of wild animals throughout their lands, harvesting the elk, deer and buffalo at specific places at certain times of the year. This lifestyle mandated that they move their camp every three or four weeks. They constructed a medicine wheel at the heart of each new camp, linking them to Mother Earth like an umbilical cord. Throughout traditional Ute ancestral lands, hundreds of culturally scarred trees have been identified. 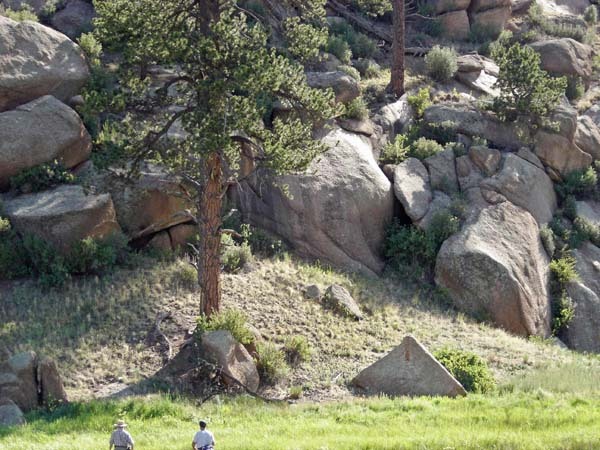 In the Pikes Peak area, these have been mapped and recorded by the Pikes Peak Historical Society, the Florissant Fossil Beds National Monument, Sanborn Western Camps/The Nature Place and independent experts such as archaeologist Marilyn A. Martorano. These culturally scarred trees are of several different types: (1) the Peeled Bark, or Medicine Trees, (2) arborglyphs or Message Trees, and (4) burial markers or Burial Trees.